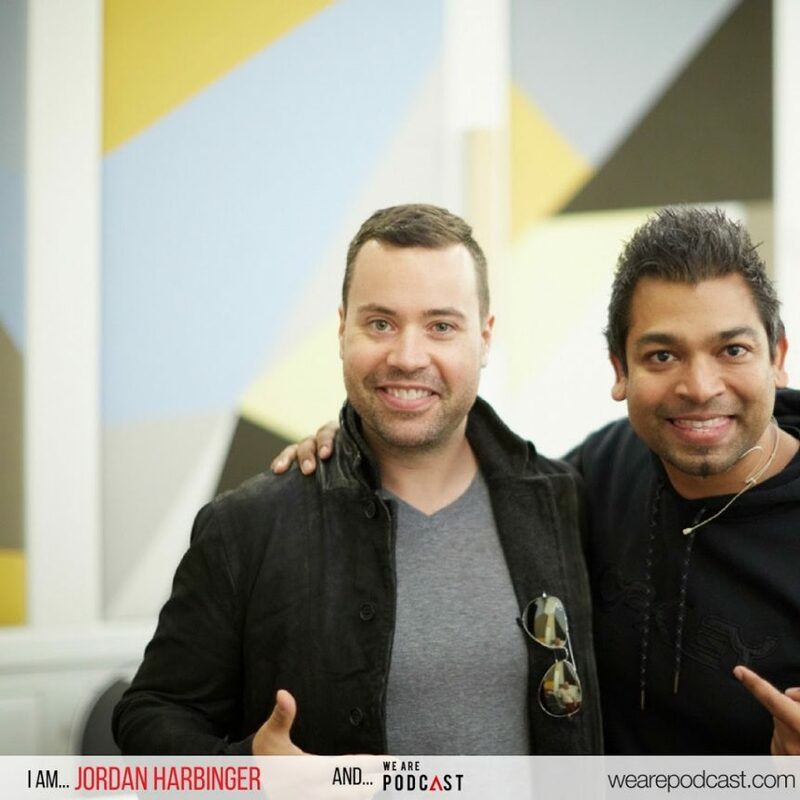 Make no bones about it, Jordan Harbinger is an A-list podcaster, and we couldn’t be more pumped to have him as a speaker at We Are Podcast 2018. Jordan has been recognized by Forbes as one of the 50 best relationship-builders in the world, and Inc. Magazine recently called him ‘the Charlie Rose of Podcasting.’ In light of facts like these, many of you will probably already know him but just in case you don’t, here’s a bit more about him. Jordan has helped to develop one of the leading self-development programs (training, coaching, mentoring, etc.) in the world, with a special expertise in social capital, relationship-building and authentic rapport. He previously hosted the hugely successful Art of Charm podcast (until recently parting ways with it in early 2018) and has now branched out on his own with the Jordan Harbinger Show. The most recent iteration of his show has a singular mission: talk to brilliant people and make their wisdom available to everyone. That’s a bit vague though when you think about it, so what’s Jordan really interested in? Well, many things. But one that stands out is the power of social interactions and the implications they can have in your life. Why do some people seem to be able to pick up men (or women) seemingly without effort? Why do some salespeople always manage to close the deal? Why do some people seem to universally make friends and allies? These are some of the questions that have fascinated Jordan throughout his career, and if you ask him, he’ll tell you the answer mostly comes down to a charm. Many people write this stuff off as a predisposition or the function of a certain type of extroverted personality. According to Jordan some of these things are learnable skills. This is (obviously) extremely valuable whether you’re talking about your dating, personal or business life. This is a snippet of what Jordan brings to the table, a laser focus on human interactions and how you can optimise yours. His experiences range from being a law student to working on Wall Street, to living and travelling abroad. Throughout all this, by talking to celebrities & experts, and experimenting in his own life Jordan has PhD worth of knowledge to share. He’s a psychological master of the highest order. In order to amplify, influence and impact you’ve first gotta connect with people, and there is perhaps no one better on the planet than Jordan for teaching you how to do this. Don’t miss Jordan and the rest of our incredible lineup, get your tickets now!